I generally ride 1-3 hrs at a moderate pace. It took a little time to get used to the saddle but the more I ride the better I like it. I do find it more comfortable to ride in the drops or hoods rather than on the tops. Very well designed saddle. feather light! Interesting design with the rails joining directly to the periphery of the seat (rather than the bottom of the shell) all in carbon and then a minimal amount of padding. 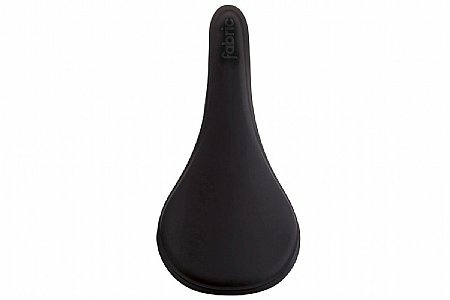 This makes a lightweight saddle that has enough compliance to make all day riding comfortable. Rather than adding more cushion material and weight, this seat contours to your rear end. The only thing that makes me wary in terms of durability is that the seat cover does not wrap around the edge of the seat but is vacuum bonded to the top of the seat and the edge of the material is exposed. However, after a couple of thousand miles so far it has remained completely intact. This saddle is somewhat expensive so wait for it to be on sale. To date, I have been pleased. Very light saddle! Great product. This is a very light saddle. But unfortunately all the high tech does not necessarily makes it comfortable. The padding is barely noticeable to the point that one might wonder why it is even there?